Okay, the solicit for the October issue of Dardevil is out. This marks the first from the new creative team, not counting the Dark Reign tie-in one-shot that’s due out in September (though that’s pencilled by Billy Tan rather than new regular artist Roberto de la Torre). The solicit reads as follows, and the cover can be viewed here. Meet Daredevil as you’ve NEVER seen him before! The cataclysmic events of issue 500 left Matt in the toughest place of his life – and forced him to make the hardest decision he’s ever made. 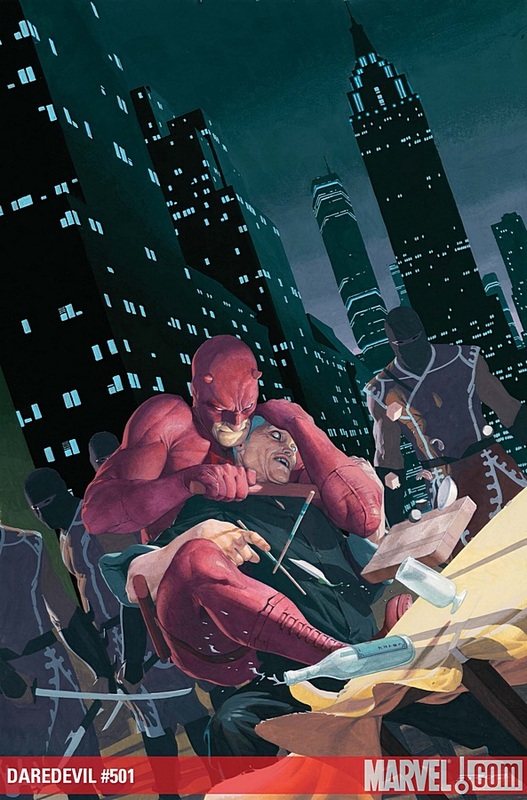 Now’s the start of a radically different chapter in Daredevil’s adventures, and the perfect jumping-on point as the new creative team of Andy Diggle (THUNDERBOLTS) and Roberto De La Torre (IRON MAN) take DD to entirely new highs…and lows! So, aside from the general assumption that new highs for the book must equal new lows for the title character, what do you guys think? There’s not much in terms of spoilers here so we don’t have more information now than previously, but feel free to comment your little hearts out. One thing that I didn’t know was that the October issue of the Thunderbolts is Diggle’s last. There might be other things planned for him at Marvel and it’s pretty much a given that he’s got some of his own stuff going at the same time, but it at least appears as if Daredevil is his top priority right now which I think is reassuring. View this solicit and many others on Newsarama.